You are on your way to the airport three hours prior to your flight just to know when you arrive at the counter that it was canceled or rescheduled. The carrier offers you some options, but you would have really preferred to be on that flight home. This type of situation has transformed into a standard for the commercial segment, and not even a first-class ticket will prevent from arriving several hours late to destiny. 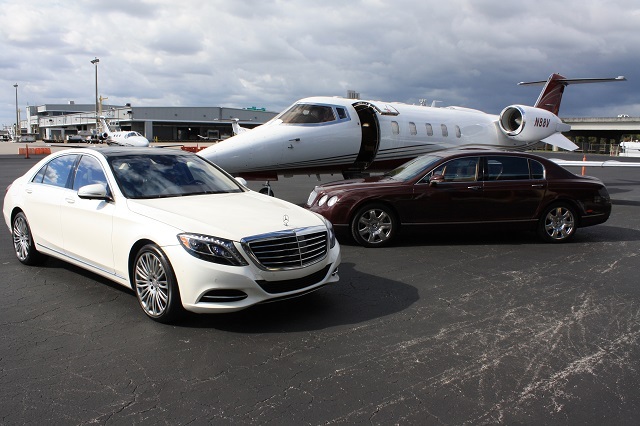 The previous, in addition to long check-in lines and massively concurred terminals, has benefited private aviation to the point that it’s no longer a service exclusively reserved for the super-rich, but a means of transportation to get from point A to B in a swift and reliable manner. Commercial aviation’s inability to cover the complete route, making legacy carriers rely on other connecting airlines to take passengers to a destination, also elevates the possibility of encountering a new array of miscues. This constant uncertainty hasn’t gone unnoticed for those that lack time. Time is the main variable that goes in favor of private aviation when compared to a commercial flight. There are no surprises in the process and the time to the destination can be calculated impeccably. The flexibility to attend three meetings in one day in different cities and to change itineraries without penalties has made of business aviation a necessity rather than a luxury. Whenever, wherever. There are no limitations for doing business in small towns with domestic or regional airports and without commercial connections. If there is an airstrip, there is a flight plan in place for a specific private aircraft. The previous has allowed companies of all sizes to explore new markets and shift the tides imposed by the usual air routes and has connected, worldwide, hundreds of people who lack a fast, safe and reliable means of transportation. Business aviation is not only large jets with luxury interiors, it’s is a game-changing tool for increasing productivity at many levels, in developing and established economies. For starters, turboprop planes for short-haul flights are cheaper to fly than jets and meet the equivalent objective in almost the same amount of time. This is what private aviation is all about in emerging economies; where the Cessna Gran Caravan and the Beechcraft King Air reign the skies. Another aspect of this segment that separates from the likes of commercial aviation is the booking process and the possibility to pay even with cryptocurrency, as private jet provider Monarch Air Group recently informed. Obtaining the best price for your route in seconds and from a smartphone, choosing diverse and exotic payment methods and departing in just an hour after closing the app, is all possible. The flaws in the commercial aviation experience have helped in a way to demystify the notion of private aviation being solely reserved for top-notch CEO’s and celebrities. It’s easy to get tired of reduced cabin space, constant uncertainty, and rigid schedules, and that’s why flying private has an increased demand in many countries, with a growing number of providers delivering the service. Today, private aviation is time-efficiency, comfort, and flexibility; the days where luxury was the primary trait are long gone.